This is a prequel to the podcast "Limetown," which you can find on their YouTube channel or on their website. It can be read by those that hadn't heard the podcast, which is what I did. The novel tracks Lia through her senior year of high school when she first hears the news reports and alternates with chapters told from her uncle's point of view when he was in high school himself. She had no idea her uncle was even in the town when everyone disappeared, as he had largely been estranged from her father. Every time she tried to ask what was going on with her mother's growing isolation and why no one would talk about her uncle, she was shut down, which only added to her frustration. It hadn't occurred to her at that time to wonder why she didn't really know about where her family came from, but now the absence of relatives seemed to take on a more sinister note. Emile had always been the odd one in his town and didn't have any friends other than his older brother Jacob. Their mother had essentially gone missing, leaving them with their guardians, who never talked about her and only did the minimum to keep the boys cared for. Emile had an odd talent his brother didn't share, but he innately seemed to know that he shouldn't discuss his ability to know the thoughts and feelings of others around him. He went through a lot of difficulties when on his own and trying to stay ahead of the mysterious person trying to study him, and his storyline eventually dovetails with Lia's. Reading this book made me curious about the podcast, and I started listening to it. 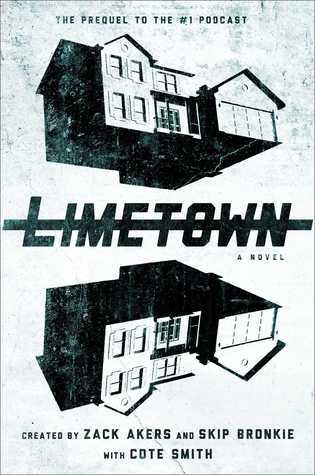 It starts off rather innocuously, with reporter Lia Haddock doing a ten-year anniversary series to cover what is known about the disappearance at Limetown. This draws survivors out of the woodwork, who will only speak with her about what research was being done there, as well as creepy goings-on that try to dissuade her coverage. The podcast has very good production quality and gradually increases the creepy aspect as the episodes go on. Certain aspects of the book make more sense when you listen to the podcast, but it does stand alone as a very creepy conspiracy novel. Season 1 is six episodes, so it's easy enough to get caught up, especially now that Season 2 started. It's a fascinating podcast, especially if you have a good enough imagination to think about what's happening behind the scenes that is only hinted at in the actual audio. There is also news that it is filming a television adaption starring Jessica Biel for Facebook Watch.